The village name may perhaps be derived from “Alithis limin,” meaning true haven, which was the name given to the site by old-time travelers. Lithi is the birthplace of Andreas Syngros, whose family house can still be seen. The village is famous for its excellent fish, which is not surprising since the local population consists primarily of fishermen. Visitors may observe the methods utilized to repair nets alongside the large fishing boats anchored in Omalia which is Lithi’s beautiful, sandy beach located a short distance from the foot of the village. 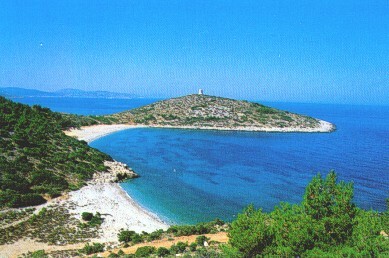 Visitors will relish seafood delights such as red mullets, huge blackfish, bass, and lobster alongside the Aegean Sea. Don’t miss The sunset in Lithi is truly unforgettable!